MainOpEdsBirkat Kohanot? Priestess' blessing at the Wall? 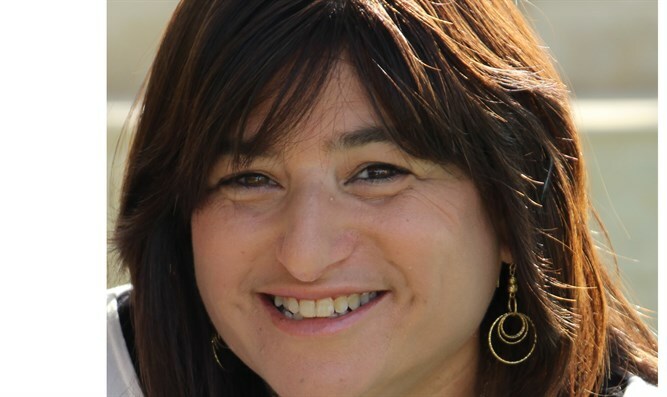 Paula R. Stern is the Founder and Documentation Manager of WritePoint, a technical writing company. I would like to understand why the Women of the Wall don’t spend even half as much time defending their right to pray on The Temple Mount, Har Habayit, as they do coming up with the provocation of the month, each time insisting on something else they think is their right. 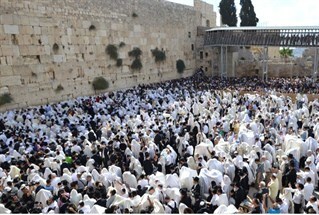 Recently, it was to decide that Birkat Hakohanim, the Priestly Blessing that, in contrast to a daily recitation in Israeli synagogues is a dramatic ceremony at the Wall on the first of the Intermediate Days of Passover (see photograph), should also be "Birkat Hakohanot" - blessing by female priestesses, whatever that is supposed to mean. Judaism did not have priestesses, ever. Idol worshipers did, often with accompanying licentiousness.. I guess this one strikes close to home. Years ago, an anti-Semitic idiot decided to "voodoo" me and promised I would die, according to the words of the Haitian Priestess who stuck pins into a small doll with brown bangs (the color of my wig) at his request. Friends were appalled. I was amused. They begged me to go speak to my rabbi, and I did, mostly to get them off my back as the weeks went by and the "Autumn of my death" got closer. I told him the whole story. - the emails that got stronger, the font that got larger - and he said, "lies, lies, lies" and I smiled and said, "so I don't have to do anything, right?" And he answered..."no...yes...yes...answer their curse with our bracha [blessing]. Go listen to Birkat Hakohanim." I loved the idea. I read the blessing. I learned about it and I thought – this is, in all things, our answer to those who hate us. I went to listen to Birkat Hakohanim at the Wall, the Kotel, it is an amazing experience. Every chance I get, I listen to it, and more, I am blessed by it. Ever since, this specific blessing has been mine, a gift of a very wise Rav, the Kohanim who are present, and God. I do not need tefillin for God to listen to me; I do not need a tallit; I am perfectly and entirely complete no matter where I stand and most first days of the month (the Women of the Wall only come to the Kotel on Rosh Chodesh, the first day of each new Jewish month, and generally attempt to do something that gains attention, ed. ), I am oblivious to your repeated steps to gain attention but this time, I am disgusted. Just as a man can never give birth, can never know the wonders of carrying a child or nursing one, you can never be Kohanim. Accept it; get over it. You are, at most, daughters of Kohanim and that does give you a special status, but it does not include standing up in front of the world "blessing" Am Yisrael under a tallit and stretching your arms out. That is not for women - and I wish you were half as focused and concerned with all of the real mitzvot with which you have been tasked before rushing to grab the limelight once again. Another concept. When you look at the body of a person, what is contained in the head and the heart speak volumes, as do the actions of that person. So too, with an organization. Look at the heart, look at the head, look at the actions. Anat Hoffman and Batya Kallus, virulently anti-Israel, left wing activists are in many ways the heart and the head, and their actions echo of betrayal and treason as they support our enemies, seek to divide Jerusalem. If these are the women speaking for this organization, it is nearly impossible to consider that anything they orchestrate is anything more than a great publicity stunt utterly and completely devoid of spirituality. These are not women who believe in tradition, in Judaism, in God, in Israel – at least not my tradition, my Judaism, my God, or my Israel. They want to make Israel seem to downgrade women, when actually, it is one of the most egalitarian societies in the world. And finally, one last thought. The Kohanim have an important place in the history of Judaism as well as present day Judaism. As the soldiers guard our body, the Kohanim lead the soul. It is a role granted by God, handed down from generation to generation. Whether a person is Jewish is determined by whether his mother is Jewish, but to be a Kohen one must have a father who is a Kohen and passes the status from father to son. No convert to Judaism, no matter how righteous, can be a Kohen. No man can be a Kohen if his father was not one before him; and a woman can be a daughter of a Kohen, but never a Kohen. Being a Kohen is in the genes, in the soul. Being a woman is in the genes, in the soul. A man can have an operation to change his body parts but those fake breasts will not yield milk; no man-made womb will bring forth a child. And a bunch of women standing up, covering their heads (or not, depending on whether they honored the terms of the agreement they made this time), stretching out their arms (or not, if they actually follow the agreement), while mouthing the words of an ancient prayer, does not mean that the priests have blessed the people.